At Daniel Green, providing comfort and style is our passion. We offer a variety of modern designs, everyday classics and comfort casuals that keeps our guests coming back for more. Attention and care is given to everything we do. From luxurious suedes and textiles to soft linings and functional outsoles we take our business seriously. We take pride in building product that lasts and meets the demands of our loyal guests. There are many options in the market but we believe that being true to who we are has helped our brands stand the test of time. We embrace our long brand history while looking towards the future. 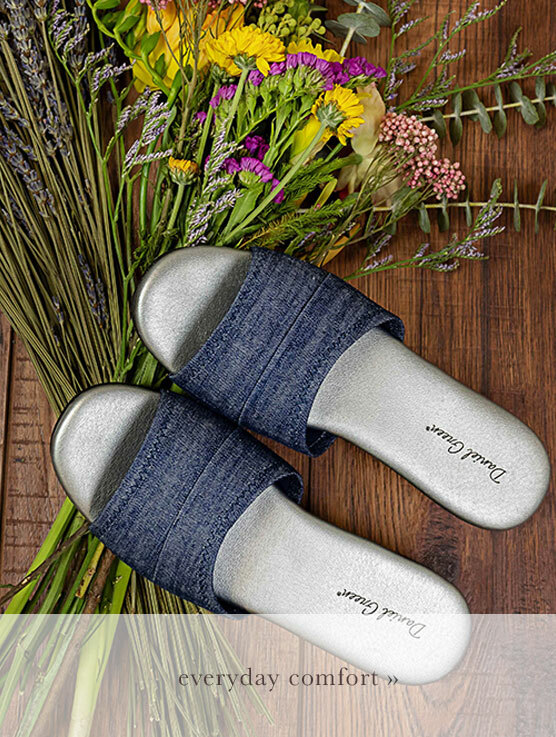 Regardless of your choice, know that all our collections provide the soft, supportive feel you deserve with slippers and comfort casuals. Our full collection of Daniel Green, L.B. Evans and Tempur-Pedic footwear is always here for you. Take confidence knowing that we always offer Free Shipping & Free Returns to our guests. Be sure to sign up for our mailing list or follow us on our social media sites to stay informed of new product and specials.